Oliver Centre promotes children's experience of safe and caring environments where their emotional and physical health, positively self identifies a sense of belonging. Children should have open and flexible environments where playful exploration, problem solving and creativity are encouraged and purposely planned. Environments will reflect a sense of belonging where children feel nurtured and supported. Children's environments will be a place where their communicative practices, literacy, and literate identities are valued and supported. Play is integral to children's learning and richly formative in their capacity for relationship. 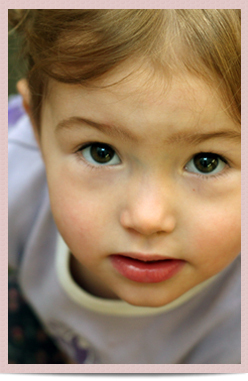 Oliver Centre believes that play must be accorded a key place in the lives of young children. Play is essential to quality of life in childhood and a primary means of understanding the world. Oliver Centre believes that children are confident, active learners whose learning, growth, and development are profoundly influenced by the quality of their relationships with people and their interactions with places and things. Our Vision is that all children and families develop the ablities to be successful members of and contributors to the community and society. The Oliver Centre Board has created a new calendar to keep member families informed of the board's meetings. Click here to view the calendar. Oliver Centre is a program that has been in the Oliver neighborhood for over thirty eight years. Through the years it has been established as a centre that takes pride in the development of children. All of the staff who work in the classroom comes to the program with a degree or diploma in education. This ensures that your children will be inspired through play. They will become explorers, investigators, make great friendships, and learn to become independent thinkers. I would like to take this opportunity to thank the amazing staff that work with your children. They are the reason Oliver Centre is a well known, well recognized centre for early learning. You can follow Oliver Centre on Facebook.